The Royal Albert Hall’s Love Classical season is back from April until June, taking crossover collaborations to the next level. The combination of classical music and electronic music has never been more popular. Recent years have seen all sorts of orchestral renditions, notably Pete Tong’s Ibiza Classic shows, Haçienda Classical at the Royal Albert Hall, Jamie Jones and Kate Simko at the Barbican and Technics assembling the world’s first turntable orchestra. With Love Classical, the Royal Albert Hall’s programme focuses heavily on electronic music. The series is an exploration of the "past, present and future" of classical, with shows including Carl Craig (pictured) with Chineke! Orchestra on April 28, Classic Album Sundays and Bach Evolution on May 1, the latter recreating the works of J.S. Bach with a modern twist. Fans of Warp Records will no doubt be intrigued by experimental producer Clark being involved in this. The ‘Death Peak’ producer will serve up a “specially-arranged Bach-inspired composition”, sure to be an eye-opening performance. 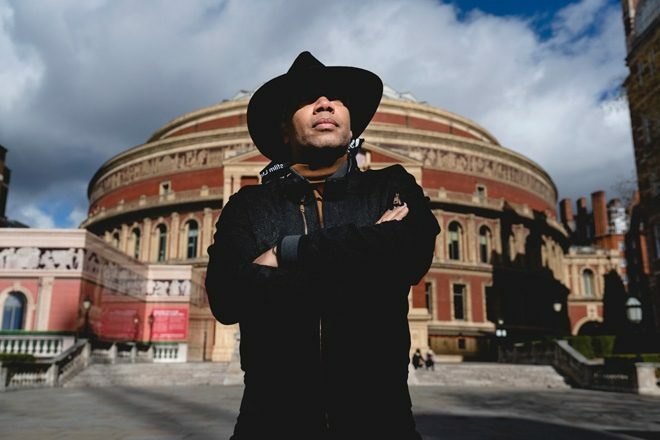 Carl Craig's performance at the iconic London venue, one of Love Classical's headline events, sees him recreating his highly-rated 2017 album 'Versus' in full with the Chineke! Orchestra, Europe's first majority-BME orchestra. Those in attendance will also be treated to live synth recreations of some of the Detroit producer's best-known tracks including 'At Les'. The 54-piece Chineke! Orchestra will be led by Detroit's own Damon Gupton, whose CV includes the Cleveland Orchestra, The Detroit Symphony, The Houston Symphony, The Orchestra of St, Luke’s, The Princeton Symphony, The Toledo Symphony, and the Kansas City Symphony and more. Joining him will be award-winning pianist Kelvin Sholar, who counts hip hop legend Q-Tip and Stevie Wonder as previous collaborators. This high-octane collaboration is a highlight of the Hall’s three-month Love Classical season, which celebrates the most distinctive and original voices in classical music today. Classic Album Sundays, an immersive concept thought up by Colleen ‘Cosmo’ Murphy, are billed as a “shared listening experience which allows fans to get as close as possible to the artist’s music”. Note that these events don’t actually take place on Sundays. Treasured producer Matthew Herbert brings Classic Album Sundays to an end on July 3, discussing the way classical music and modern music intertwine. “No one seems to wish to challenge the idea of what music can be – historically there have been all sorts of assumptions about the power and the functions of music, and now we’re just happy for it to just be the soundtrack for whatever else we’re doing, or escapism,” says Matthew. Other highlights of Love Classical include Love Classical Lates, one of which is with Berlin-based singer/songwriter Tom Adams on April 25. For this one - taking place in the intimate setting of the RAH’s Elgar Room - expect an enchanting meeting of synths, pianos and deftly delivered vocals from the critically-acclaimed artist behind albums such as ‘Silence’ and ‘Yes, Sleep Well Death’. Head here for more information and watch the promotional videos for Carl Craig and Clark's involvement with Love Classical below.